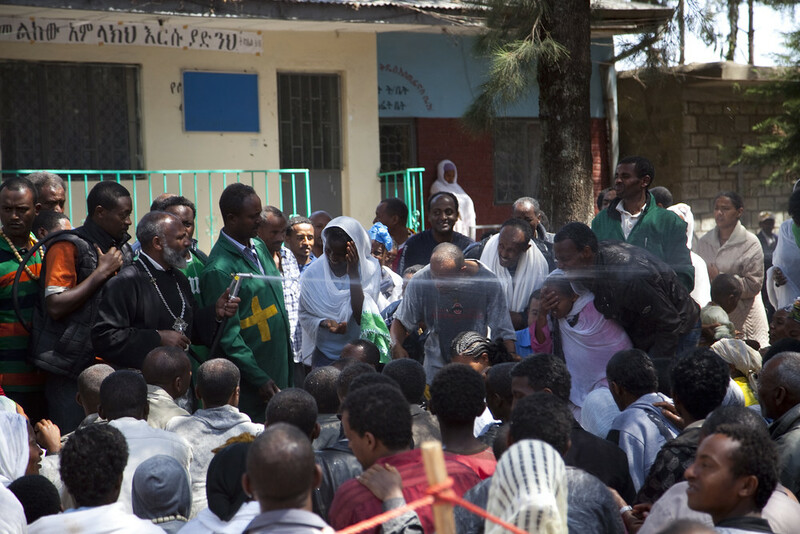 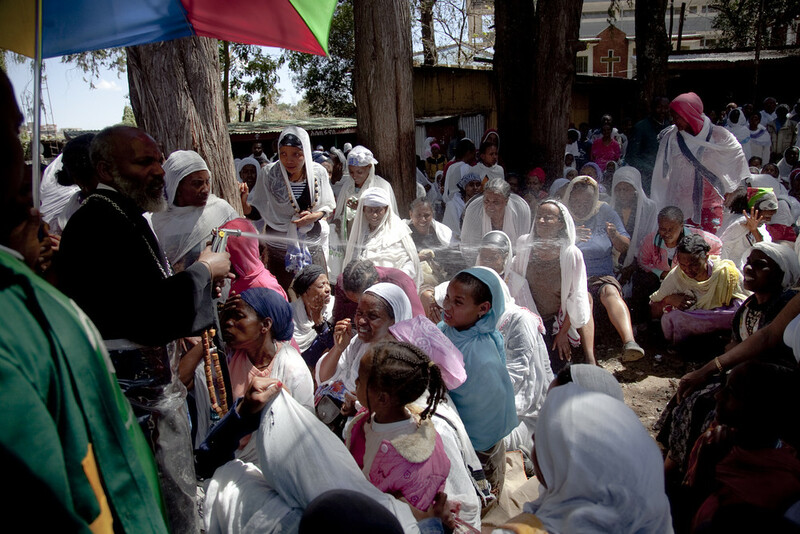 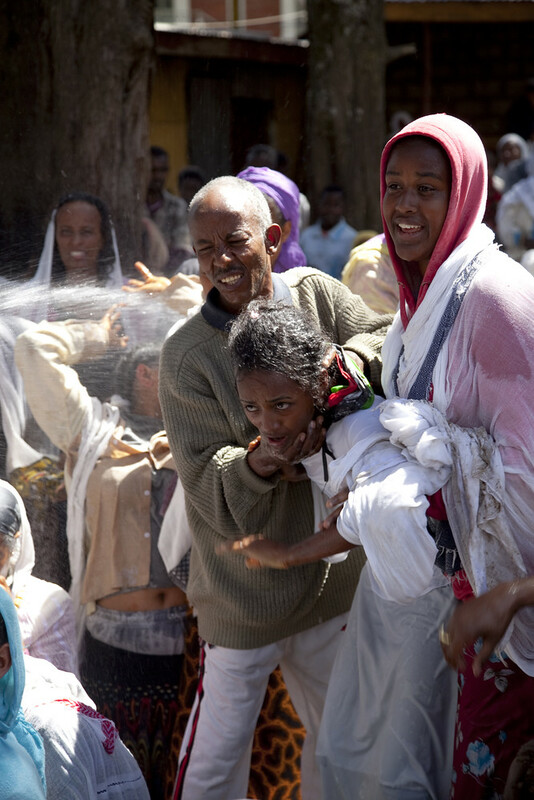 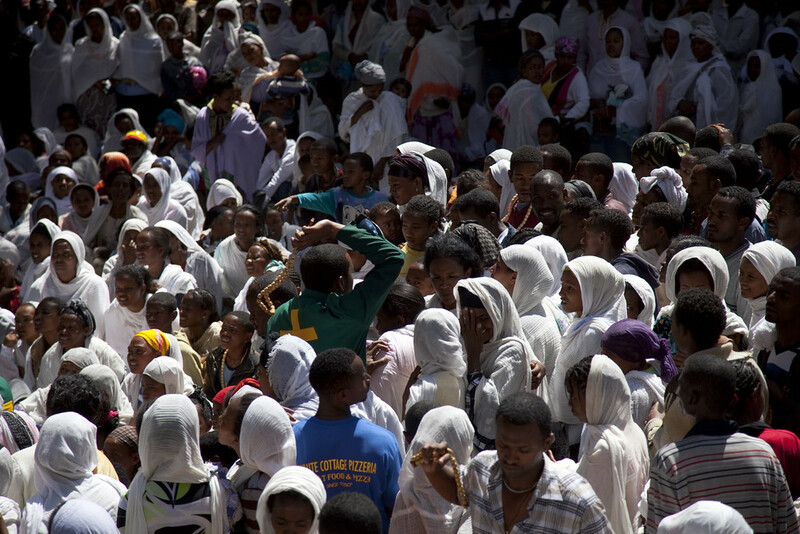 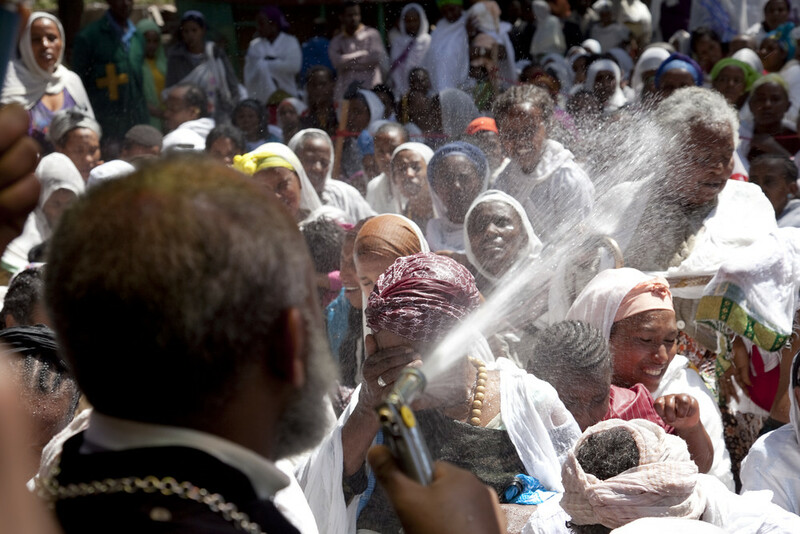 From different parts of Addis Ababa and the surrounding areas, Ethiopians from the Orthodox Religion make a pilgrimage to some churches with the aim of curing some of their diseases caused by evil spirits. 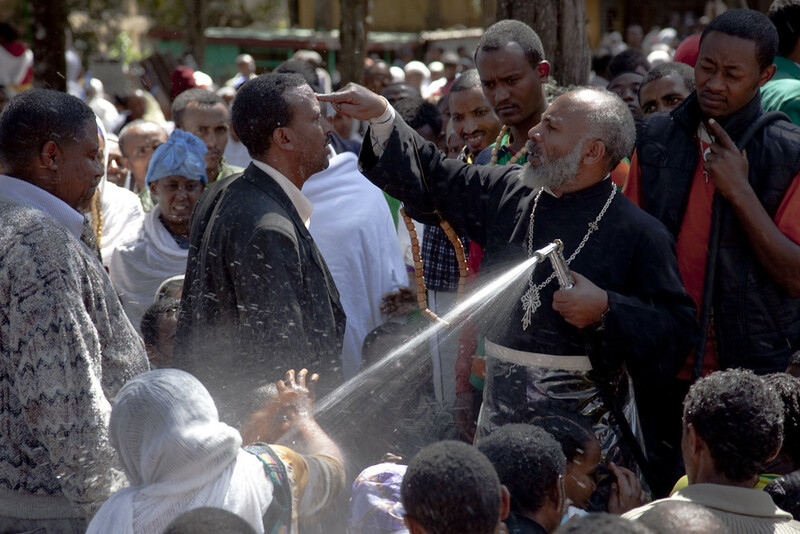 The priests sprinkle the believers with holy water and help them to expel the devils inside. 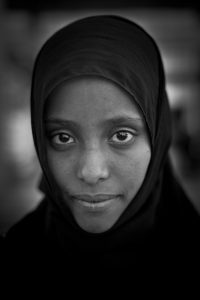 People lose their sense and many are unable to remember what happened there. 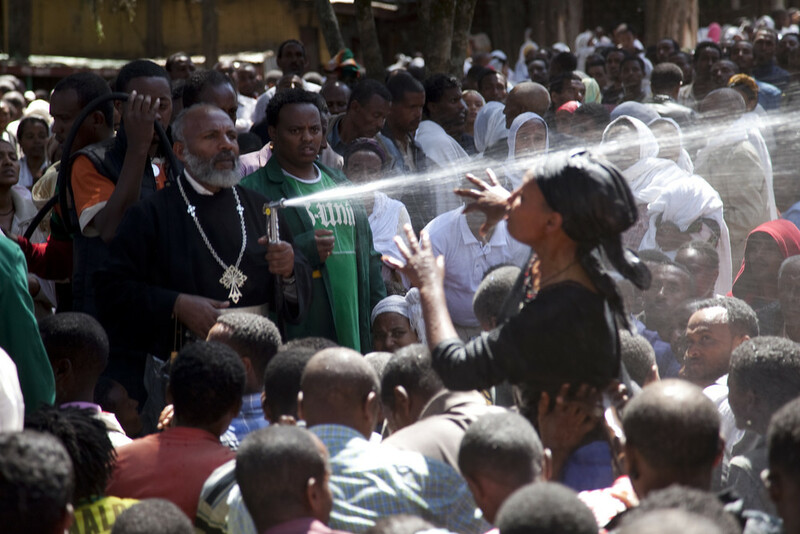 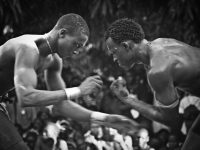 The evil came out of his body and liberation comes once the holy water is received.